Over the years, Burris has made a name for itself by manufacturing some of the top rated scopes on the market. In this post, we shall examine the Burris Eliminator III, which is one of the bestselling scopes from Burris. In reviewing the scope, we shall not only look at its key features that have turned it into one of the most highly demanded scopes on the market, but we shall also take a look at the pros and cons of owning this scope as well as some of the most common questions raised by customers and potential customers. At the end of our Burris Eliminator III Reticle Laser Scope, 3X-12X – 44mm review, we hope to have equipped you with all the relevant information you’d need to know about this widely praised and highly sophisticated laser scope. 2.1.1 Q. Who are the manufacturers of the Eliminator III? 2.1.2 Q. Does the scope come with a remote? 2.1.3 Q. Does the Eliminator III have the ability to remember multiple different rounds? Or do I need to reprogram it after every different round? 2.1.4 Q. Are the dots of the Eliminator III MOA or Mil-Dot? 2.1.5 Q. Why I’m I encountering problems ranging with the Eliminator III? 2.1.6 Q. After I have ranged a target, does the scope give me ample time to take my shot? 2.1.7 Q. Do I need to get special accessories such as rings to mount this scope on my gun? 2.1.8 Q. Can I use the Eliminator III with a firearm that has a canted rail? 2.1.9 Q. Does this scope come with a scope cover? 2.1.10 Q. How much does this scope weigh? 2.1.11 Q. What type of battery does the Eliminator III operate on? 2.1.12 Q. What’s the scope’s eye relief? 2.1.13 Q. What is the Eliminator III’s magnification? 2.1.14 Q. 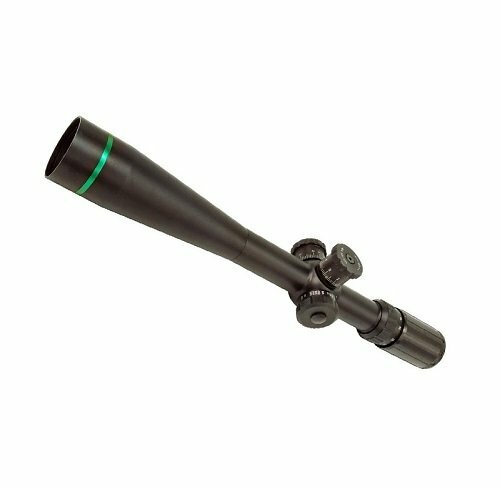 What is the scope’s objective lens diameter? 2.1.15 Q. What is the total length of the Eliminator III? 2.1.16 Q. In the event that the battery of the scope dies in the field, would I need to reenter the ballistic data again? 2.1.17 Q. Can I use the Eliminator III along with a night or thermal vision device? 2.1.18 Q. Is this scope covered by a warranty? When it comes to accurately ranging and being able to hit targets at extreme distances, only a handful of scopes are technologically advanced enough to do that, and the Eliminator III is proudly one of such powerful scopes. With this scope mounted on your firearm, you can accurately range and hit targets that are even as far as 1,200 or more yards from you thanks to a variety of advanced features, most notably its highly sophisticated extreme range ballistic programming that works by using the Drop Number in conjunction with the Ballistic Coefficient of both the load and cartridge being shot. And what’s more, this can be easily done by just the press of a button! The Eliminator III comes with the highly advanced X96 Reticle that displays your range to target within just a fraction of a second, and will function accurately at any magnification. Furthermore, unlike other reticles that don’t assist you in easily making a correct and precise hold-off estimate, the X96 reticle provides you with a very simple method for the accurate calculation of wind hold-off. This plays a very significant role in increasing your likelihood of achieving great accuracy even at ranges that are extreme. The Eliminator III is engineered with an inbuilt rangefinder that gives you the unique opportunity of ranging your target without requiring any other additional equipment. This feature not only makes it faster for you to range your targets, but it also makes you carry less load into the field. Another outstanding feature that the Eliminator III proudly boasts of is its illuminated aiming point that allows a shooter to take down an animal anytime, even in situations where lighting conditions aren’t the best. The scope’s ability to help you in calculating the precise trajectory compensation for both your range and exact ammunition is another of its biggest selling points. Not only does this feature relief you of the stress of making very difficult calculations and guesses, but it also saves you a great deal of time while at the same time significantly improving the accuracy of your shots. The Eliminator III has premium glass lenses that are multi-coated with Burris’ famous Hi-Lume® Multicoating, which allows for very high light transmission and the elimination of glare, thereby allowing you to use the scope to hit your targets even in low lighting conditions such as at dawn or at dusk. 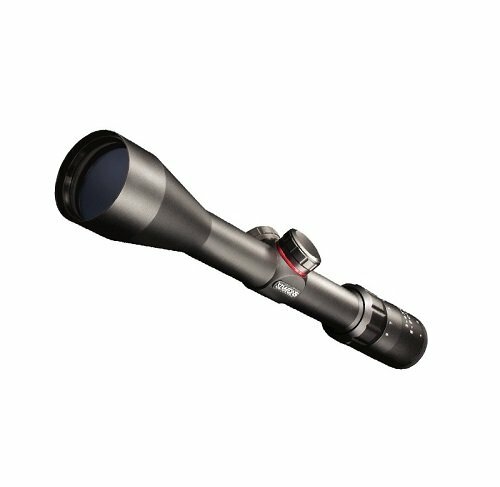 The scope comes with precision-ground lenses that are not only of a higher quality than those of other similar scopes on the market, but are also larger. These two features join forces with the Hi-Lume® Multicoating mentioned above to further enhance light transmission to make the scope useful even in situations when the atmosphere isn’t very bright. The scope features a double, internal “spring-tension system” whose primary function is to ensure that the scope hold zero during severe disturbances such as recoils, vibrations, and shocks. The sleek body of the scope is ergonomically designed with your comfort in mind. As a result of this, you can comfortably use it for long hunting sessions without any issues. In addition to enhancing your comfort during use, the ergonomic design also helps you in achieving shots that are more accurate. We can’t talk about the ergonomic design of this scope and not mention its no-slip grip body, which makes it extremely easy adjusting and handling the scope in the field regardless of the prevailing condition. Knowing the abuse the average scope is often subjected to in the field, the manufacturers put in a lot of energy and resources in making its housing one of the most robust in the industry. Made with the toughest 6061 T6 aluminum and a matte-black anodized finish, the Eliminator III’s housing is not only durable but is also both corrosion and scratch resistant. The Eliminator III is engineered with O-rings that seal it internally in order to prevent moisture as well as dust and other debris from making their way into the unit and compromising it. In addition to being waterproof, the scope is also fogproof – a feature that comes about as a result of its optical barrel being purged of O2 (oxygen) and filled with nitrogen gas in order to prevent it from fogging internally when exposed to extreme temperatures. Both the waterproof and fogproof qualities of the scope allow you to use it in all manners of places and weather conditions, including in wet environment and under extreme temperatures without ever having to worry about moisture making its way into the optics chamber or experiencing the frustrating situation where the scope fogs up internally, thereby rendering it virtually useless. It is robust and durable because it is manufactured using high-quality materials. Despite its robustness and durability, it is lightweight. You can mount the scope on any kind of Weaver or Picatinny base. It has as many as 5 different brightness settings, which allows you to freely adjust the brightness level to the one you prefer. The X96 reticle the scope comes with provides accuracy at any magnification. Despite the sophisticated technology it comes with, it is user-friendly, thereby making mounting and setting it up a very easy process. It has an illuminated aiming point that helps you take down an animal even in atmospheres that aren’t very bright. With the Eliminator III, you can range and take down targets that are even more than 1,200 yards away. It comes with an inbuilt rangefinder. It is waterproof and fog proof because it is both o-ring sealed and nitrogen-purged. The scope gives you the opportunity to range your target in either meters or yards. With the Eliminator III, you get to enjoy adjustable parallax of 50 Yards to infinity. The scope is backed by the legendary Burris Forever Warranty™. There are not too many disincentives associated with the Eliminator III besides maybe its high price. Q. Who are the manufacturers of the Eliminator III? A. The riflescope is manufactured by Burris Company, which is one of the trusted names in the world of tactical optics. Burris Company is headquartered in Colorado, U.S.A.
Q. Does the scope come with a remote? A. No, it doesn’t. And a remote isn’t really necessary to operate the scope. Q. Does the Eliminator III have the ability to remember multiple different rounds? Or do I need to reprogram it after every different round? A. You would have to reprogram the scope after every different round. Q. Are the dots of the Eliminator III MOA or Mil-Dot? Q. Why I’m I encountering problems ranging with the Eliminator III? A. The main reason you might be experiencing issues ranging is likely because you are using the scope to range through things that are obstructing it. Since the scope makes use of infrared beam in ranging targets, any obstruction in the path of the beam will see you experiencing issues with ranging. This is why when you use the scope to range through things such as camo nettings, windows, or screens, it will not range a target. Q. After I have ranged a target, does the scope give me ample time to take my shot? A. Yes, it will. After ranging your target, the scope will provide you with a display that remains active for up to 90 seconds, giving you sufficient time to take your shot. Q. Do I need to get special accessories such as rings to mount this scope on my gun? A. No. You don’t need to bother purchasing anything special since the scope comes with inbuilt rings and mounts easily to any picatinny rail with the aid of the picatinny clamps it comes with. It doesn’t matter the kind of firearm you have, so far as it has a weaver style rail, you can mount the Eliminator III on it. Q. Can I use the Eliminator III with a firearm that has a canted rail? A. Yes, you can. The scope is so advanced that it comes with 3 impressive shims whose primary function is to get rid of cant in the setup, thereby allowing the firearm and the Eliminator III to work perfectly together. And it deserves mention that the shims come with the following labels: A, B, and C.
Q. Does this scope come with a scope cover? A. It comes with a sunshade and flip-up scope caps, but not a full scope cover. The sunshade helps in reducing lens glare and reflections, whereas the flip-up caps prevent the lenses from accumulating dirt, dust, and other unwanted materials that end up not only impeding vision but also damaging the lenses in the long run. A. With its battery and mount, the Eliminator III has a weight of approximately 28.8 oz. Q. What type of battery does the Eliminator III operate on? A. It runs on a CR2 battery. Q. What’s the scope’s eye relief? A. 3.5 – 4 in. Q. What is the Eliminator III’s magnification? A. The magnification is 3 – 12x. Q. What is the scope’s objective lens diameter? A. It has an Objective Lens Diameter of 61 mm, Clear Objective Lens Diameter of 44 mm and an Ocular Lens Diameter of 42 mm. Q. What is the total length of the Eliminator III? A. It has a total length of 13.5 inches or 34.3 cm. Q. In the event that the battery of the scope dies in the field, would I need to reenter the ballistic data again? A. No, you wouldn’t. The Eliminator III is designed to retain or remember the ballistic data you entered. Q. Can I use the Eliminator III along with a night or thermal vision device? Q. Is this scope covered by a warranty? A. Absolutely! Any optic that you purchase from Burris comes with the famous Burris Forever Warranty, and the Eliminator III is no exception. And what’s more, this warranty is transferrable to future owners of the scope. The Burris Eliminator III is indeed an impressive scope that comes with specs that are even hard to find in more expensive scopes. With very powerful and technologically advanced features such as the X96 reticle that is accurate regardless of the magnification, 5 brightness settings, objective lens diameter of 61 mm, an illuminated aiming point that allows you to take down any animal regardless of the lighting conditions, an ergonomic and sleek design, the ability to hit your targets as far out as 1,200-plus yards, and others, the Eliminator III has undoubtedly earned a spot in the list of the most sophisticated riflescopes you can lay your hands on. As far as this class of scopes goes, the Eliminator III presents great value for money. And there’s more! The scope comes with a lifetime warranty!